The hotel offers 166 spacious rooms all equipped with air conditioning , telephone , hairdryer , pay TV , free WIFI internet and free laptop safes. In our restaurant guest can enjoy breakfast, lunch and dinner or have a drink in our bar. All 6 meeting rooms have daylight, air conditioning and audio visual equipment. Besides all of the facilities in the rooms and meeting rooms , Tulip Inn Amsterdam City West also offers a restaurant, renovated in 2007, with bar and lounge area , a solarium a fitness room , free WIFI internet and free parking in front of the Hotel. The hotel is non smoking hotel. 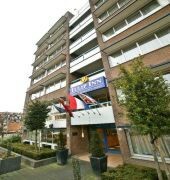 The Tulip Inn Amsterdam City West is a Tourist, Pet Friendly, Modern, Business, Leisure, City hotel, Full Service hotel. Located in City Centre area. Shopping is within walking distance and the nightlife/restaurants are located in the hotel. 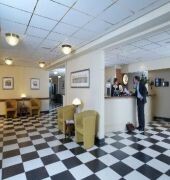 Descriptionclass="small" style="text-align: justify; font-size:11px;">The hotel offers 166 spacious rooms all equipped with air conditioning , telephone , hairdryer , pay TV , free WIFI internet and free laptop safes. In our restaurant guest can enjoy breakfast, lunch and dinner or have a drink in our bar. All 6 meeting rooms have daylight, air conditioning and audio visual equipment. 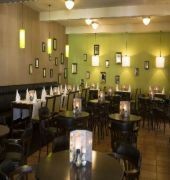 Besides all of the facilities in the rooms and meeting rooms , Tulip Inn Amsterdam City West also offers a restaurant, renovated in 2007, with bar and lounge area , a solarium a fitness room , free WIFI internet and free parking in front of the Hotel. The hotel is non smoking hotel.